Probably one of the most widely believed myths about food is that if you skip meals you are bound to lose weight. Nothing could be further from the truth. If you miss out meals, especially skipping breakfast at the start of your busy day, you will find that, instead of cutting calories, your blood sugar levels will rise and fall all day. You will end up eating more and, what is worse, the chances are that it will not be something healthy and low calorie but junk food, grabbed in a hurry. It is much healthier to have three low calorie meals a day and healthy low calorie snacks mid morning and mid afternoon to keep your energy levels up. Some people believe they have to force themselves to drink the often quoted eight glasses of water a day, but that is not the case. 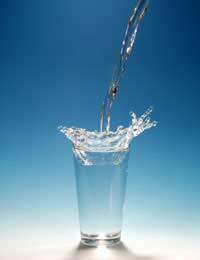 Our bodies do lose around 2 - 3 quarts of water each day just through natural processes like breathing and perspiring, and we do need a good supply of fluids to keep us healthy, but it does not have to be eight glasses of water. Thirst is a fairly reliable indicator of our need for fluids, and while pure water is the easiest, quickest and probably the best way to get the fluids we need, there are other acceptable ways. The fluid in soft drinks, juices and smoothie recipes does count, especially when they are low-salt, low carbohydrate drinks. Fruits and vegetables, too, contain fluids that contribute to the overall fluid intake. You can also count tea and coffee. It’s a common misconception that the caffeine in tea and coffee drains fluids from the system. However, although caffeine is a mild diuretic, when you drink tea or coffee your body still retains as much as half the fluid. There are many popular myths about foods but what are the realities behind them? Here are a few. Is the old adage that an apple a day keeps the doctor away true? No it’s not. Certainly, eating plenty of fruit each day will help you get enough fibre, vitamins and minerals, but just one apple a day will not. An apple will provide about 40 calories of energy, 3 grams of dietary fibre, 2 mg of vitamin C and very small amounts of iron, thiamine and niacin. This is false. There is very little difference in the calorie counts of butter and margarine and they are both required to contain at least 80 per cent fat. Low-fat spreads are lower in calories than both butter and margarine. This is not true. Refined white sugar is almost totally pure sucrose at 99.9 per cent. Though less refined,and containing 1 per cent water, brown sugar is still 98 per cent pure sucrose. Although brown sugar does retain tiny amounts of minerals and vitamins, they are in amounts too small to make any real difference. False - there is no medical basis for this idea. Spinach is a good source of vitamins A and C and contains the minerals iron and copper. It is no more or less nutritious, however, than other leafy green vegetables. Again this is false. There are growing numbers of strong and healthy vegetarians and vegans, who eat no animal foods at all. Partly true. There is an old belief that eating a few raw cloves of garlic every day has real health benefits; and science does back this up. Studies have shown that garlic can lower blood pressure and cholesterol levels, and in this way help to prevent heart disorders. There is some evidence that it can help prevent bronchial complaints, sinus problems, colds, chills and flu. False - It is much better to eat more of the foods that are naturally high in fibre than to sprinkle bran on top of a refined carbohydrate food. Eating generous amounts of fibre in the form vegetables such as celery, cabbage and carrots, and fresh fruit and wholegrain cereals, is much more effective and healthy. It is quite a common complaint that too much bran can be an irritant for the bowels and cause uncomfortable bloating. Take it only in small amounts as part of a fibre-rich diet, and plenty of fluids.